Any other bloggers out there finding it difficult to take outfit pictures with the weather and early sunset? 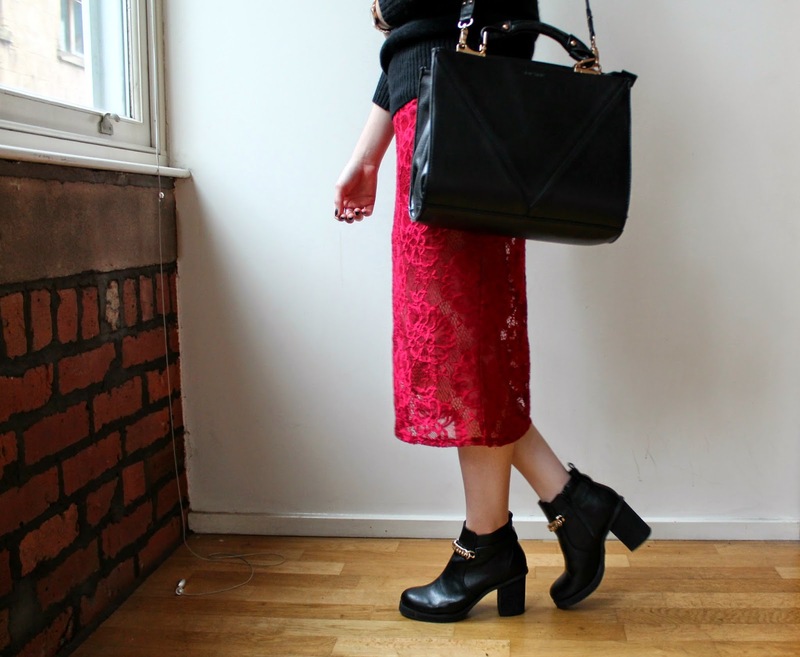 I managed to snap this outfit in my flat at the weekend, featuring the most beautiful red lace skirt! I love the detail and length of this skirt, and feel it has given my trusty old Zara roll neck a new lease of life. Plus, it's only £20 at the moment... go go go! I am obsessed with burgundy tones recently and this oversized faux fur scarf is literally the dream! I also naughtily bought the black version of this too so I'm sure you'll see it popping up here soon. <3333 such cool outfit !